Posted on October 17, 2017 at 6:56 am. 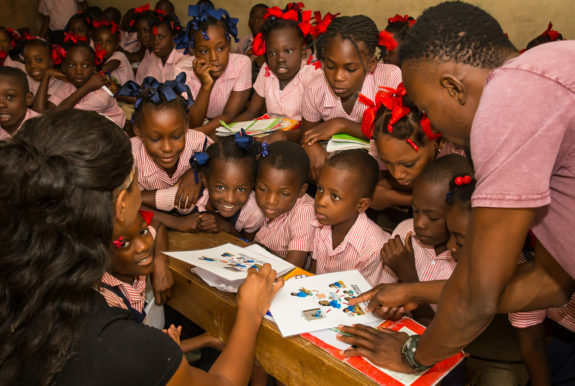 There are so many health and medical-related challenges in Haiti that it is often hard to prioritize who and what to treat. While the problems are numerous, the funds needed to tackle them are lacking. Malnutrition, clean water, helping mothers and children severely lacking in basic medical care – these are just a few of the mounting health issues that continue to plague this island nation. But, as Mahatma Gandhi once famously said, “Action expresses priorities,” so I’ve chosen to focus my efforts on building water wells. 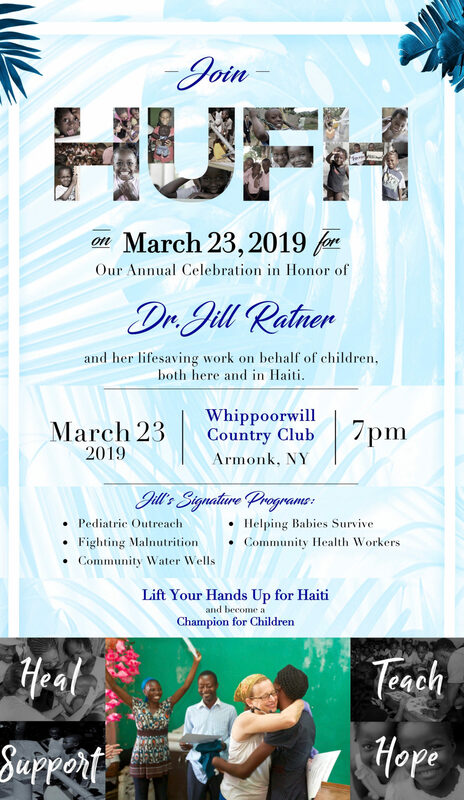 Just a few short years ago, we launched the Hands Up for Haiti Community Water Project to bring clean water to remote communities and to educate on water safety and cholera prevention. 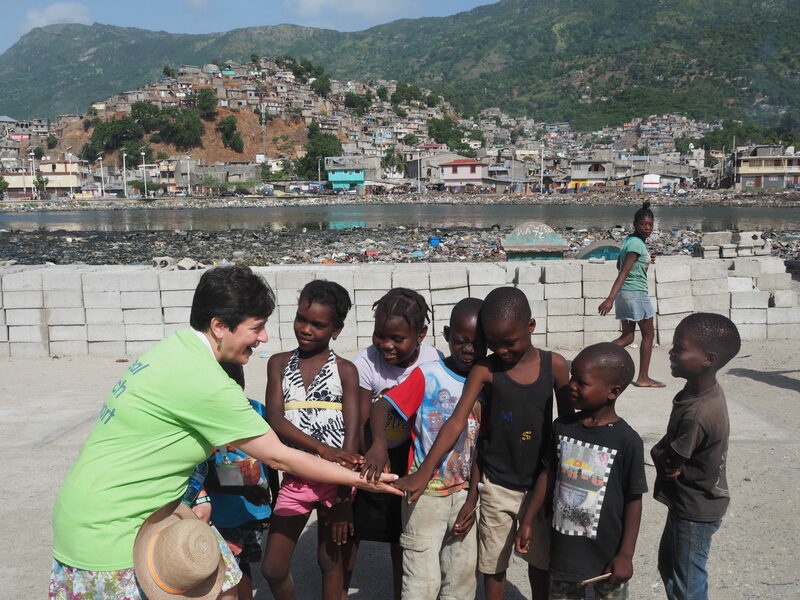 Our goal is to reduce illness by providing access to clean water for thousands of Haitians for many years to come. 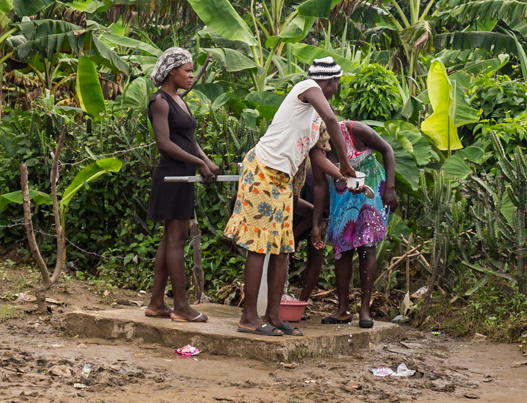 Pumping water – the gift of life! The program launched with tremendous success but we are at a crossroads and we need your help to sustain the effort. We have only built 11 wells to date; so many more communities are still without access to clean water. 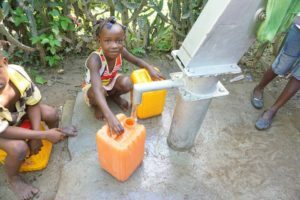 With just a small donation from you, we can sustain the community water project and ensure more and more Haitians receive its life-saving benefits. In fact, each well costs only $3,500 to build and maintain, providing 4,000 people with access to clean water for 35 years! Moving forward, I will keep you posted on the growth of the program. During the water team’s most recent trip to Haiti this month we worked with our in-country liaison to identify a new well-site in Dondon, a remote village with little access to health care other than the programs that HUFH offers to fight malnutrition among children and hypertension in adults. We will continue to report back then on the latest developments.